In the wake of the recent nightclub shooting in Orlando, there are voices that are again loudly touting mental illness as a key target for preventing the repetition of such horrors. Yet, as we wrote last year, researchers have already debunked the link between mental illness and gun violence. Instead, we found access to guns increases rates of suicide, but not of homicide. However, what most people don’t know is that, underlying all of this, there is policy prohibiting research from delving further into the issue and discovering where the evidence leads us. The link between gun access and suicide rates is all the more significant given the suicide rate is almost double the homicide rate, with nearly 40,000 people dying annually from suicide in the United States. Worryingly, suicide rates have increased 24 percent over the last 15 years (1999 to 2014), with almost half of these deaths involving the use of a firearm. Every time we use mental illness as the scapegoat to alleviate our fears around gun violence, we do real harm by increasing stigma around mental illness. If we want to address guns and mental health, we need to stop blaming those with mental illness and instead strive to protect those who may harm themselves. Every time we use mental illness as the scapegoat to alleviate our fears around gun violence, we do real harm by increasing stigma around mental illness and providing additional barriers to timely and high-quality care; we may even be preventing people in need from seeking help at all. But this still leaves open the question of mass violence. If mental illness is not the answer, what is? Shockingly, there is a 20-year-old federal ban to fund research on gun violence. Without adequate research, it is impossible to disentangle potential factors. While government officials and television broadcasters might speculate (and do real harm in doing so), we have a civic responsibility to devote resources to better understanding the problem first. The time to act is now. A quieter but still mighty movement emerging after Orlando is the urgent need to lift these restrictions. 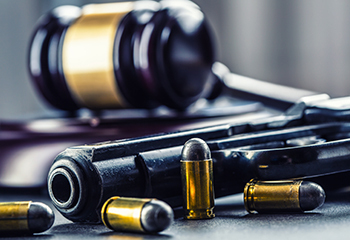 Noting more than 6,000 deaths due to gun violence in 2016 alone, the American Medical Association has declared gun violence a public health crisis and pledged to actively lobby Congress to overturn the legislation preventing research on gun violence. This is not the first time medical professionals and researchers have pushed for this legislative change, but let’s hope it will be the last. The question of gun control is gaining traction. There has been activity in both the House and Senate to consider gun control measures, such as background checks. However, to be effective, we need to better understand what these proposed legislative initiatives are trying to accomplish. We must also remember gun violence is not just political; protecting lives is a public health imperative. To get the answers we need, we need to start asking the right questions. Noting more than 6,000 deaths due to gun violence in 2016 alone, the American Medical Association has declared gun violence a public health crisis and pledged to actively lobby Congress to overturn the legislation preventing research on gun violence. It is becoming clear that there are at least two equally important but vastly different ones emerging: If we know guns are harmful to suicide, how can we reduce risk? If mental illness is not the reason for mass violence, what is? Actually, the ban only prevents the CDC from funding gun research. There are a lot of other options for funding the research if you really want to do it. Banning funds does prevent the CDC from studying the issue. It means that no one is willing to research the issue because there is no future career there. There is nothing to study. Guns are inanimate and ascribing the actions of their human possessors to them is a ridiculous concept. Awful people kill other people and often times they use guns to do so. Lock them up, respect the civil rights of those who are actually civil in our society, and amend the document if you really must blame guns for criminals. Criminals without respect for human life belong in prison not in a CDC study and “gun violence” is not in any way a disease. The CDC should be in the business of studying and controlling actual disease. The majority of deaths caused by guns is from “suicide,” so studying the issue as a mental health problem would save lives. Many of these deaths may be prevented if we know more about the circumstances of each occurence. Would it make sense to restrict a person’s access to his or her own gun at a certain point in their depression? We don’t know the answer to that question because the data is missing. Investigating questions similar to that will inform the work of mental health professions and will lead to better treatment outcomes. In the event a doctor doesn’t have time to ask every patient about gun ownership, they should at least screen high-risk patients, such as children and people who are at an increased risk for suicide or violence.